Agents Of S.H.I.E.L.D. isn’t the only show that’s sticking around on ABC, as Variety is reporting that both Designated Survivor and American Housewife will both be getting second seasons. 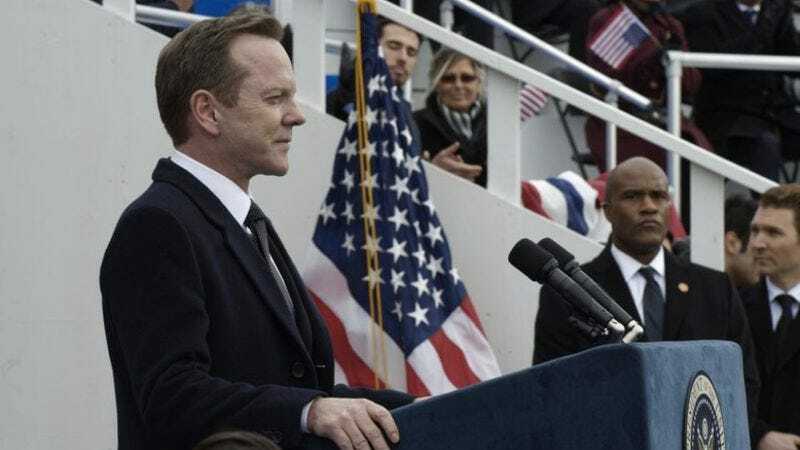 The former show is a political thriller starring Kiefer Sutherland as a low-level cabinet member who becomes the president when an attack kills all of the more qualified people during the State Of The Union, and Variety notes that it has been a “solid ratings performer” for the network with six million viewers watching it live and twice that number when you factor in on-demand or DVR viewings. American Housewife is a comedy series starring Katy Mixon as a “confident, unapologetic wife and mother” who has a lot of fun sticking it to the pretentious moms in her upper-class Connecticut town. It averages 5.3 million viewers per episode, which is only just below established comedies like Black-ish and The Middle.